With the release of Windows 8 Microsoft has gone back and worked on the fundamentals of the OS to make it more efficient than even Windows 7. This means that the OS does the same (if not more) using less system resources. One of the ways that they achieve this is the way they control the “Group Policy Client” service to only run when required. This “Always On Always Connected” (a.k.a. AOAC) optimization of the service manages basically means that the service shuts down when ever it is not being used thus not using any idle ram or CPU cycles. 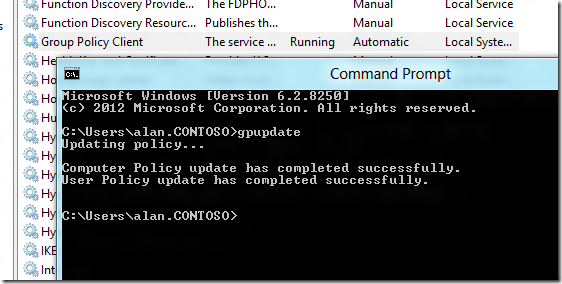 Note: This service also starts on demand when you perform a GPUPDATE or a remote Group Policy Update. This service start up is probably going to be sub 1 second any way on most systems it is not an impact you are likely to see. So you might wounder then how it is still doing its background refresh of the Group Policy if the service is no longer running…. 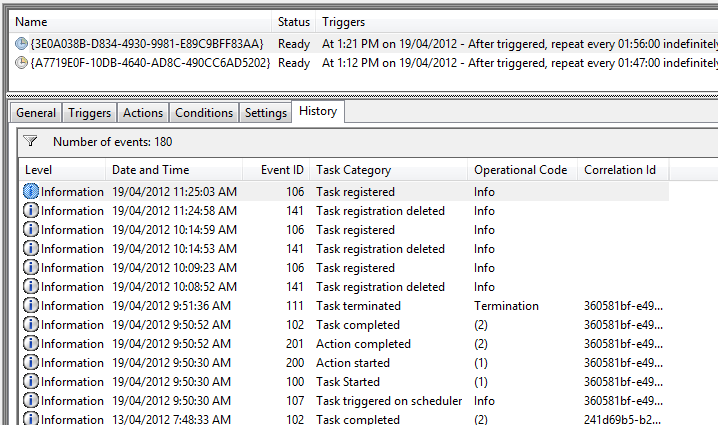 The answer is Scheduled Tasks. Rather than having the service sit idle and check periodically to see if it need to run a schedule task is created for the next time the service need to perform a refresh. But…. 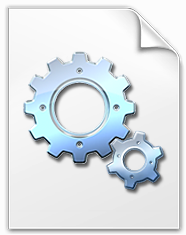 Jumping into the schedule tasks Group Policy section will NOT show this however as it is scheduled as the “SYSTEM” account. This AOAC optimization behaviour of the Group Policy Client service is only seen on the workstation version of Windows 8 and in Windows Server 2012 the service will stay running as per normal. If you want this service to stay on all the time like it did before then you can do this by enabling the “Turn off Group Policy Client Service AOAC optimization” policy found under Computer Configuration > Policies > Administrative Templates > System > Group Policy. Thanks for the article! Good to see that Microsoft is moving to optimize the client as much as possible. 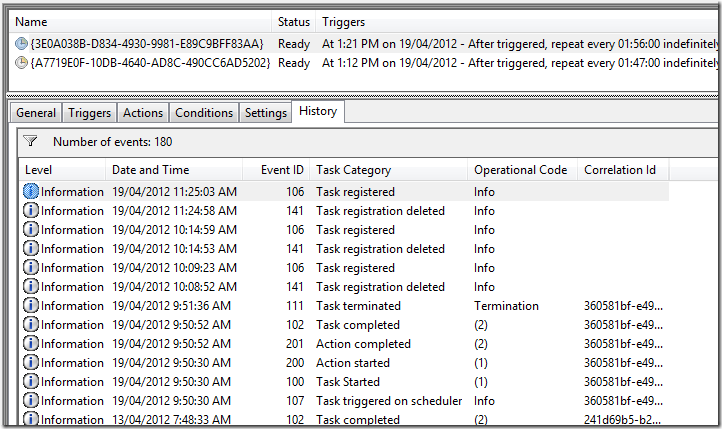 I could see troubleshooting group policy being very frustrating without knowing how AOAC works! Thanks! The service will start automaticlly when the computer turns on… however it will then shutdown.